How to Remove Paint From Grout. If you decided to do a little painting and had an accident with paint spilling or splattering on the grout, don't worry. Removing paint from grout is not as difficult as you may think. 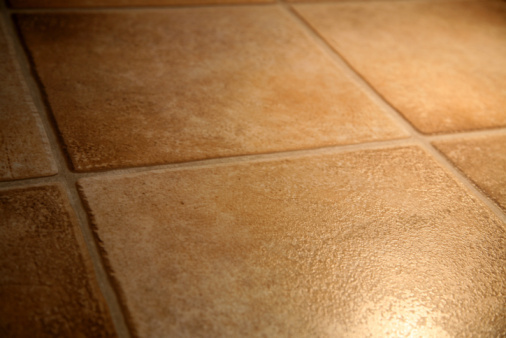 Determine if the paint is still wet or if it is already dry on the grout. You can check this by either lightly touching the paint or by using a cotton swab or other small, delicate object. If you do not want the paint to get on your hands or fingers then use the cotton swab. Wipe the majority of any wet paint off the grout with paper towels. This will make for less mess in the remaining steps. Pour a small amount of paint thinner onto the grout. Be sure to start with a small amount, otherwise too much paint thinner can become too runny, making for an even bigger mess to clean up. Scrub the grout with an old rag or cleaning brush. Using a brush will help to remove paint from deep within the grout crevices. Rinse the area with clean water. Be sure to use an old towel or rag to catch all the water that is now been tainted with paint. Repeat Steps 4 and 5 until you remove all of the excess paint from the grout.